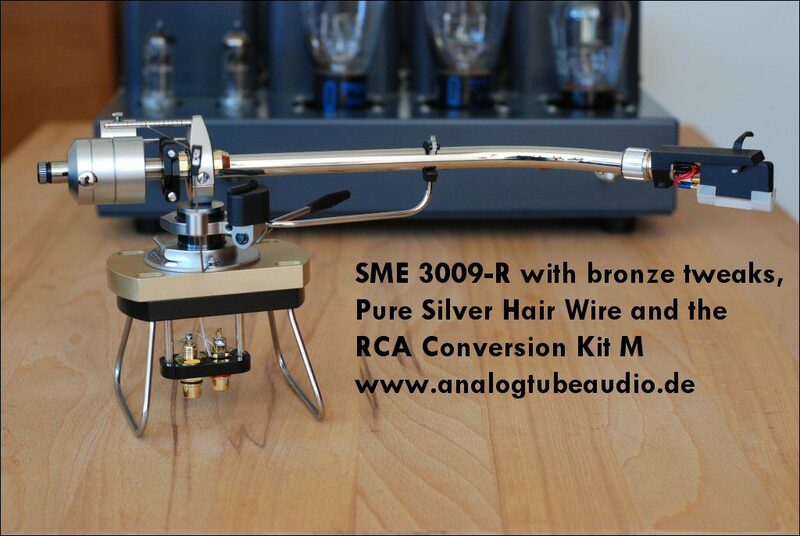 The Analog Tube Audio RCA Conversion kit is an outstanding upgrade for the SME 3009, 3010 and 3012 tonearms. The RCA conversion kit is compatible to the original plugs from SME. The installation is a easy job, all screws and parts fits with the RCA Conversion Kit very well. 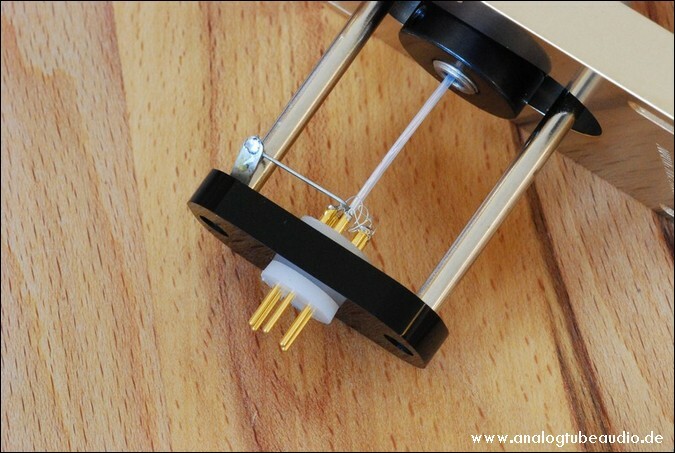 The main problem with the original mounted old SME plugs of the 3009/3012 tonearms is the bad connection of the contacts, so the tonearm cannot play on his high level and the some tonearms has problems with hum due to a bad ground connection. 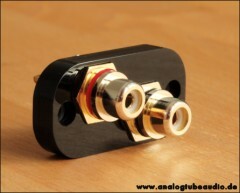 With this RCA conversion kit are all this probems fixed, the contacts are excellent with the high quality solid RCA plugs and the grounding of the tonearm is optimized and the hum is gone. Another benefit is: You can use with the RCA conversion kit normaly interconnect cables with RCA plugs. You dont need an extra ground cable to the tonearm. Version M: fits to the modern style tonearms like SME 3009R, 3010R, 3012R, 3009-3, M2-9, M2-10, M2-12 and newer versions of the 3009 S2 improved (modern version). Version A: fits on the SME 3009 Series 1 / 3012 Series 1. That´s the first model made from 1959 – 1961. Version 5-PIN: fits to the modern style tonearms like SME 3009R like the version M, 3010R, 3012R, 3009-3, M2-9, M2-10, M2-12 and newer versions of the 3009 S2 improved. Version M: fits to the modern style tonearms like SME 3009R, 3010R, 3012R, 3009-3, M2-9, M2-10, M2-12 and newer versions of the 3009 S2 improved (modern version). The black female connector mounted on a small metal angle and you must connect the male connector from the side? If yes, you need the version “M”. 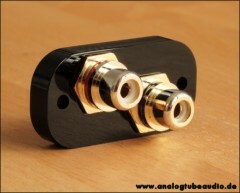 Version O: fits with the old style SME tonearms like 3009/3012-1, 3009/3012-2, 3009-2 improved (old style plug), the black female connector mounted on the metal spacers and you must plug the male connector from below? If yes, you need the version “O”! 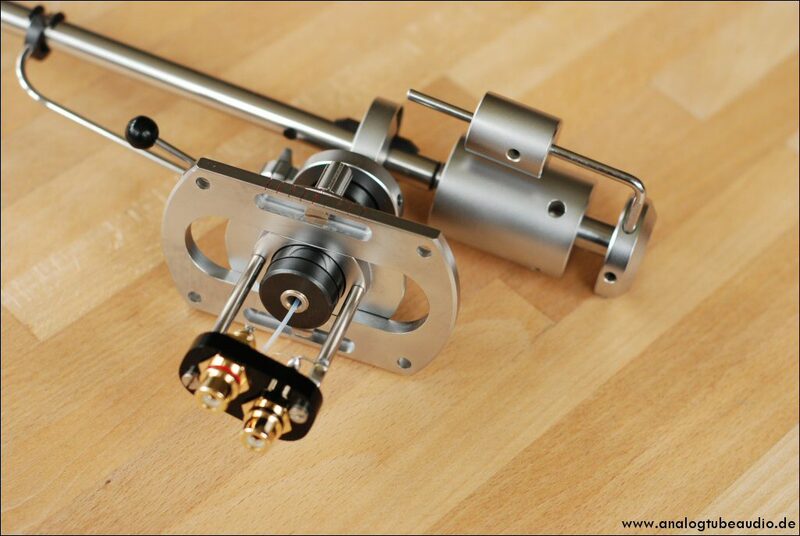 For an order I need exactly the type of your tonearm. If you not sure about the right version, please contact me by email or phone. No doubt, these conversion kit is the highest quality product on the market and better than the original upgrade kit from SME.